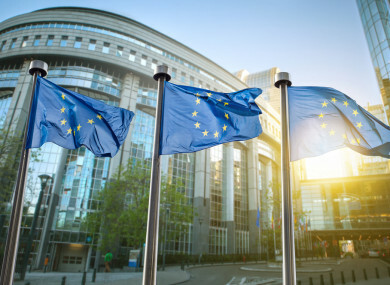 TWO OF THE 13 Irish MEPs elected in this year’s European Parliament elections may not be allowed take up their seats due to the ongoing Brexit chaos. Cabinet today approved a new Bill to assign an extra two seats for the European Parliament elections this May. Ireland has been allotted an additional two seats as part of the redistribution of seats due to UK’s vote to leave the European Union. An additional seat is being granted to the Dublin constituency, bringing it to a four seater. Meanwhile, Ireland South constituency will now be a five seater. The Midlands North West constituency remains a four seater. Despite of the Brexit stalemate, Cabinet pressed ahead with a Bill, which was drafted on the basis of the withdrawal agreement being agreed with the UK, and allowing for 13 MEPs to be elected. However, in the event of the UK not leaving the EU in March, then only 11 of the 13 elected would be able to take up their seats. Housing, Planning and Local Government Minister Eoghan Murphy is due to address what will happen in this scenario at next week’s Cabinet meeting. Who decides what elected members would lose out is yet to be determined, said a government spokesperson. One option being considered is MEPs with lowest votes being eliminated. Other options include making two MEPs wait until Brexit legally comes into operation before taking up their seats. Email “Two elected Ireland MEPs may have to wait until Brexit actually happens before taking up their seats”. Feedback on “Two elected Ireland MEPs may have to wait until Brexit actually happens before taking up their seats”.